After picking a book up and being really excited about reading it– IT’S THE BOY VERSION OF HUNGER GAMES! 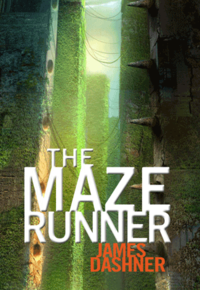 !– I wasn’t completely impressed with The Maze Runner by James Dashner. (Un)Fortunately, I was stuck with it through about 10 hours of plane rides over the last week and decided to plow my way through, breaking this wild horse of a book and beating it into submission. Rather than giving away any real plot points, mostly because I really want other readers to suffer like I did, I’ll just say that by the end of the book, I am intrigued. Let’s see where the rest of this series goes. For now, I’ll catch my breath from my sprint through this book, stretch for a spell, and perhaps pick up another book with a more moderate pace.